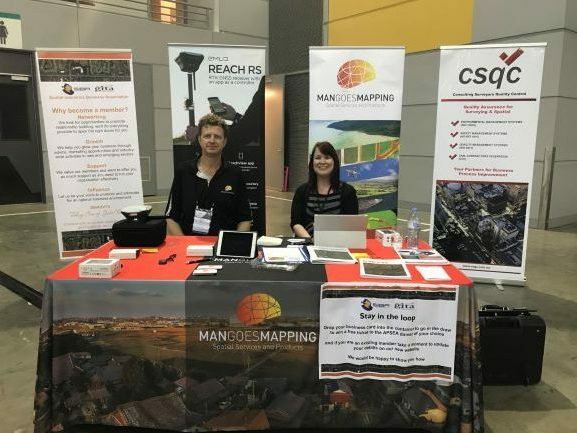 Atherton-based Mangoesmapping was a surprise hit at the recent World of Drones Congress (WOD) in Brisbane, with punters lining up to learn about the award-winning project using Phantom drones. 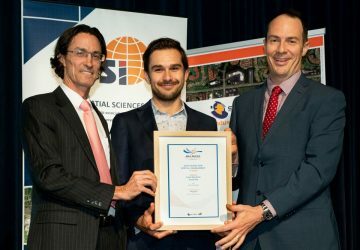 Managing Director Alistair Hart was hosted by the Spatial Industries Business Association (SIBA|GITA) to showcase his project on gully erosion mapping, which won the 2018 Award for Environment and Sustainability. “The interest in these low-cost drones and their role in environmental monitoring was incredible” said Hart. “Winning the Award for Environment and Sustainability has really allowed me to talk about the project, which is close to my heart, and of course it’s been great for business,” he said. SIBA|GITA CEO Deanna Hutchinson said the response to Mangoesmapping from WOD attendees highlights the importance of leveraging awards to showcase spatial industry capability. “The fact that Mangoesmapping was in attendance as an award winner opened up speaking opportunities in the conference program, and the project has impact,” she said. World of Drones Congress is held annually in August.